Both the H19 and H89 uses the same case, so this applies to both of them. (And any of the different configurations such as the Z19, H88, Z89, and Z90). Use a flat-head screwdriver to slide the latches on each side of the case (near the front) to release the top. For most systems, you will slide the latch forward, slightly push that side up and repeat on the other side. I have ran across some H89s where I needed to slide the latch backward. Typically, the latches are spring-loaded, but I also have some systems where the latch does not have a spring. 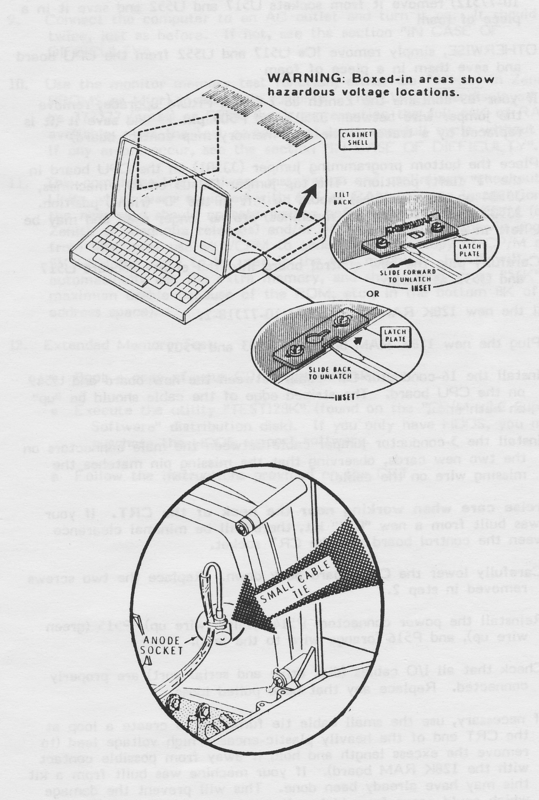 This graphic came from a Magnolia Microsystems manual. Click on the picture for a bigger view. Care must be used to when shipping these 30 year old systems. Over time, the mounts for the CRT can became brittle and with rough handling, the CRT can break loose and cause damage to both the tube and circuit boards inside the H89. Here is a short document by Chris Elmquist, describing a method of packing the H89 for shipping that has been successful. 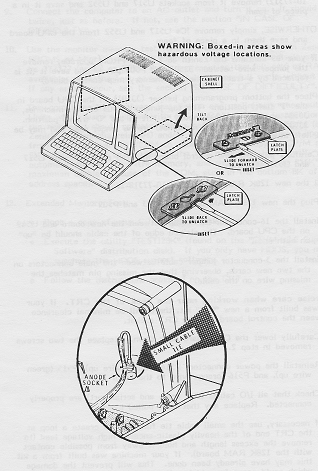 As always, depending on how rough the box is handled by the shipping company, damage may still occur to the computer. But this should help increase the chance that the system arrives safely. Patching HDOS to be Y2K Compliant. HDOS is not Y2K compliant. 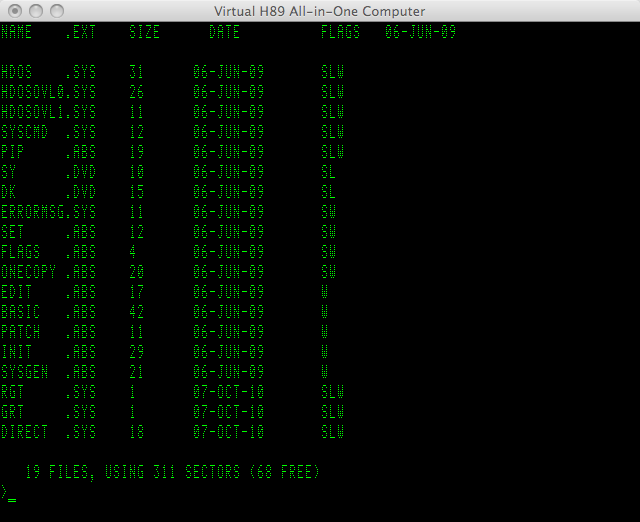 It has a 6-bit date field that is used as an offset from 1970. So, although the 6-bits could get us to 2033, it validates years to be less than or equal to 99. Luckily, there is a reserved bit in the date format. This allows us to extend the year field to 7 bits and encode all values between 00 to 99. It no longer uses the 1970 offset. Stanley K. Webb created and documented his patch to make HDOS Y2K compliant. CP/M support several types of compression and archiving, the CP/M Compression and Archiving page describes some of these programs.